Foramen Spinosum Definition: Foramen Spinosum is a foramen located in the posteromedial part of greater wing of sphenoid, and it connects the middle cranial fossa with the infratemporal fossa. It is one of the two foramens in the greater wing of sphenoid, alongside the Foramen Ovale. It is one of the Foramen in the base of skull. The word Spinosum is derived from the latin word “Spina” which means thorn. Note: The correct term is “Foramen Spinae” which translates precisely but it was incorectly named as Spinosum which means hole full of thorns. Where is Foramen Spinosum located? It is located in the middle cranial fossa, on the greater wing of sphenoid bone. It is located directly anterior and medial to foramen spinosum, and the spine of sphenoid lies medial and posterior to the foramen spinosum. On the lateral side of the foramen is mandibular fossa, and on the posterior side is the Eustachian tube. To remember it easily, the short form – “MEN” can be used. This foramen is used as a landmark in neurosurgery, because it is close to the other cranial foramen. The Foramen spinosum is about 2.25mm in length in newborns, and grows to about 2.56mm in adults. The width increase from 1.05mm in newborns to 2.1mm in adults and sometimes more. In some rare situations, the middle meningeal artery originates directly from the ophthalmic artery, and in those cases, the foramen spinosum is either small or absent. There have been instances where the Foramen was duplicated when the middle meningeal artery was duplicated. Foramen Spinosum was first identified and described by Danish anatomist Jakob Benignus Winslow in 18th century. 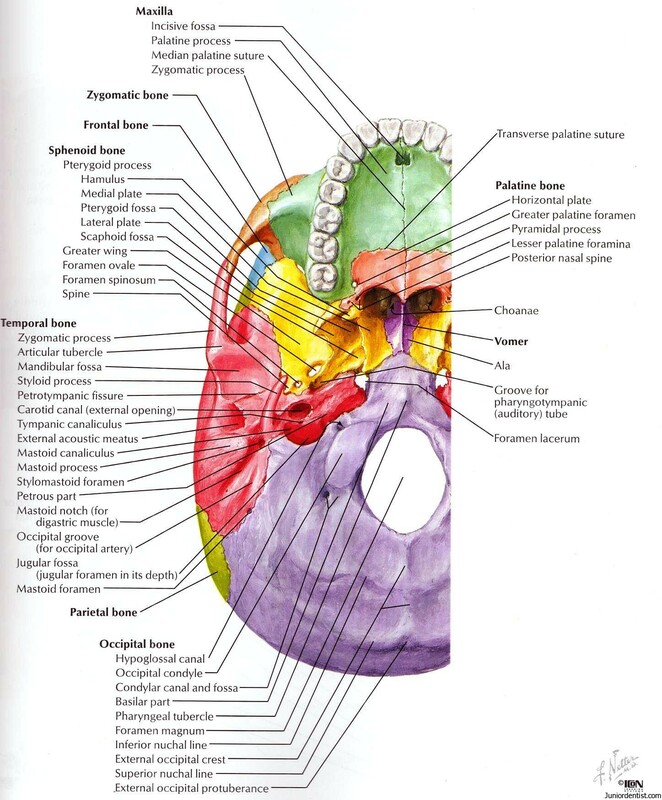 To lean about the other foramina present in the skull, check Foramen Magnum, Foramen Lacerum, Foramen Ovale, Infraorbital foramen and supraorbital foramen.